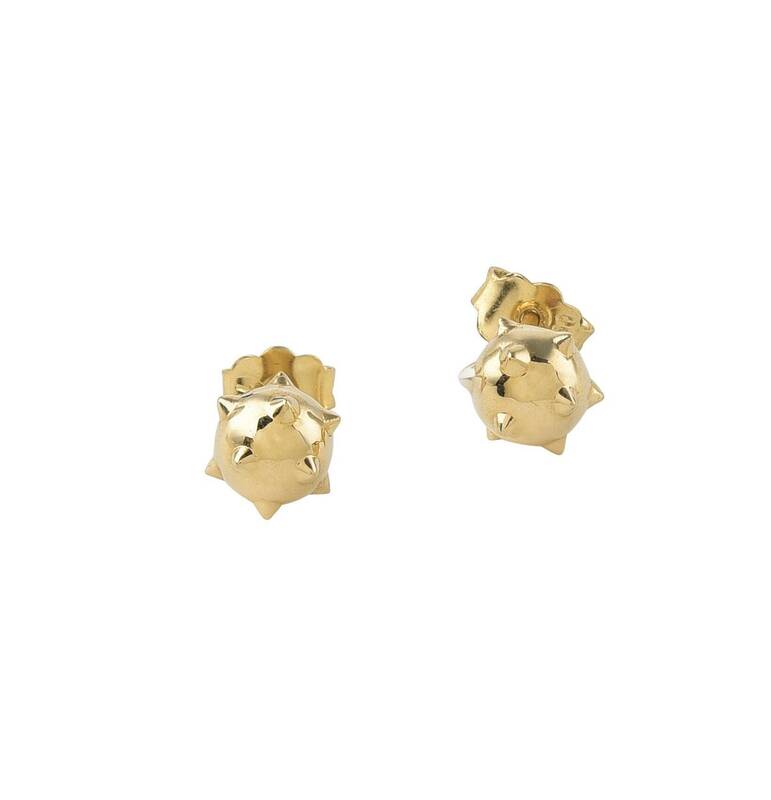 The ‘Baby Morning Star’ ear studs are crafted in 18K yellow gold, hallmarked in Cyprus. They come in a highly polished finish and are very comfortable to wear. Their size makes them ideal for everyday use and stacking. 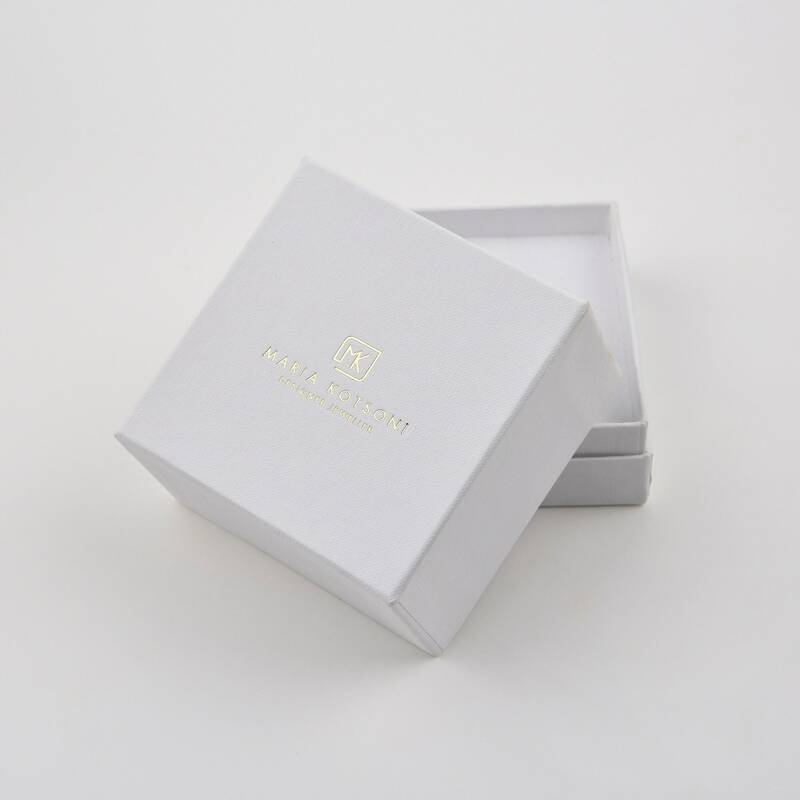 The ‘Baby Morning Star’ ear studs are inspired by Ancient Roman gladiators and reflect the modern day warrior-personality. They are part of the designer’s latest collection ‘Spiked’ that focuses on the Spike as an ancestral element and it’s use as an accessory for the protection of the most delicate life forms and the aversion of potential threats.